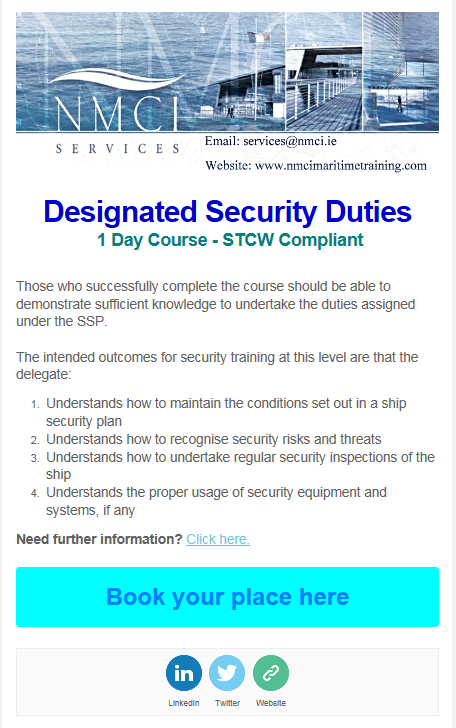 We are delighted to announce that we now have a course date set for Designated Security Duties. The course date is set for July 14th and may be booked online. For further information regarding the course click here.